If you've ever bought a "not-mini" dress that ended up being a mini dress ☹️, this post is for you. 1. A leopard slip so sultry, your bae will droooool. Get it from Topshop for $50 (sizes 4–14). Oh hey, and here are all of Topshop's tall dresses. 2. A midi dress with a waistline to hit you in a sweet spot, no matter where that spot is (depending on your torso length). Get it from Amazon for $17.99+ (nine colors, sizes S–XL). 3. A striped confection that'll scream BOARDWALK if nothing else will. But like, nice boardwalk. Get it from Boohoo for $20 (tall sizes 4–8). Check out all of Boohoo's tall dresses. 4. A solid tie for best dressed at the next summer wedding you have on your schedule. But you're for sure gonna win first place for best dancer, of course. Get it from Nordstrom for $64 (plus sizes 0X–4X). 5. A T-shirt dress at the perfect length so it can still pass as a dress. Get it from Abercrombie & Fitch for $25 (five color combos, and regular, petite, and tall sizes 2XS–XL). BTW, here are all of Abercrombie & Fitch's tall dresses. 6. A total stunner available in a custom fit option because you should have at least one dress on hand that channels Sophia Loren vibes. Get it from eShakti for $72.95 (sizes 0–36 with an option for a custom fit for an additional $9.95). This site will create a custom size for any garment with an additional fee of $9.95! 7. A lace-up shift for taking it easy without looking sloppy. Get it from Gap for $49 (also in green, and regular, petite, and tall sizes S–XL). 8. A nautical number to keep you covered without flashing too much leg, despite where exactly it hits you around the ankle. Get it from Amazon for $12+ (six patterns, regular sizes S–2XL). 9. A cheerful rainbow built for an ice cream cone photo op. Get it from Asos for $29 (tall sizes 0–16). While you're here, check out all of Asos's tall dress. Get it from Loft for $79.50 (regular and tall sizes XS-XL). BTW, here are all of Loft's tall dresses. 11. 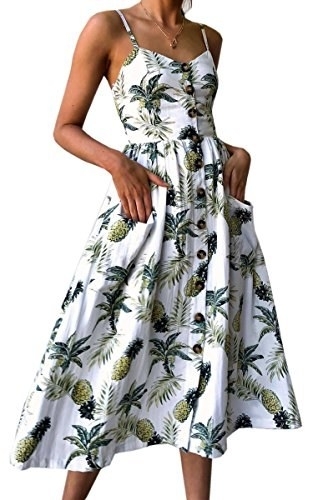 A tropical print sure to become one of your summer mainstays. Get it from Forever 21 for $45 (plus sizes 1X–2X). 12. 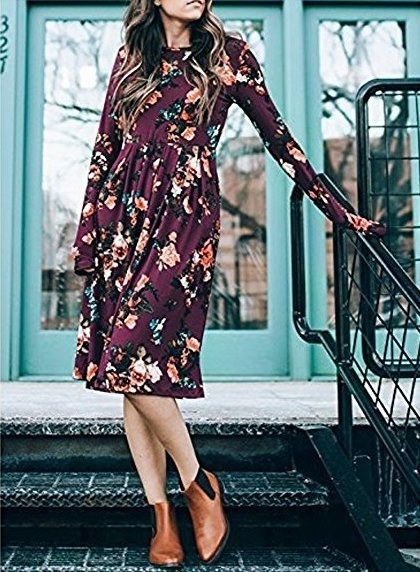 A jersey dress that'll make you look like a pulled-together bohemian world traveler (thanks to its anti-wrinkle jersey fabric) in a far-flung historic square of your choosing. Get it from Boden for $110 (regular, petite, and tall sizes 2–18). Pssst, nearly all of Boden's dresses come in tall! 13. A silky number to turn you into a total wrap star. Get it from Missguided for $51 (tall sizes 0–12). BTW, here's all of Missguided's tall dresses. 14. A gingham look that — though it's not technically a tall size — will hit you at a totally acceptable length. And there are POCKETS! Get it from Target for $17.48 (regular sizes XS–2XL). 15. A leafy print to help you slither into warmer temps without losing your cool. Get it from Asos for $40 (tall sizes 0–16). 16. A choker LBD that'll take the work out of finding the perfect necklace. Get it from Long Tall Sally for $85 (down from $169.50, tall sizes 6–18). 17. A long-sleeve frock with enough length in regular sizes to stave off freezing to death in your office's frigid AC this summer. Get it from Amazon for $15.98+ (four color combos, regular sizes S–2XL). 18. A Bardot-style mini as a super flirty option that won't show off your entire leg. Get it from Topshop for $60 (tall sizes 4–14). 19. A striped masterpiece that'll move with your lengthy limbs. Get it from Banana Republic for $138 (three color combos, and regular, petite, and tall sizes S–XL). 20. A striped halter nearly as breezy as the spring weather! Get it from New York and Company for $79.95 (two color combos, and regular, petite, and tall sizes S–2XL). Take a gander at all of New York and Company's tall dresses. 21. A ruffled bodycon that won't creep up your thighs as quickly as every other bodycon you've ever worn. Get it from Abercrombie & Fitch for $39 (three colors, and sizes regular, petite, and tall sizes 2XS–XL). 22. A flaunting flamingo with a custom sizing option will be the epitome of summer. And it has pockets!!! Get it from eShakti for $129.95 (sizes 0–36 with an option for a custom fit for an additional $9.95). 23. A stunning white option perfect for graduation or a summer kickoff white party. Get it from Boohoo for $10 (tall sizes 2–10). 24. A showstopping maxi to get you through cold offices and random one-off days where the mercury dramatically dips to March temps. 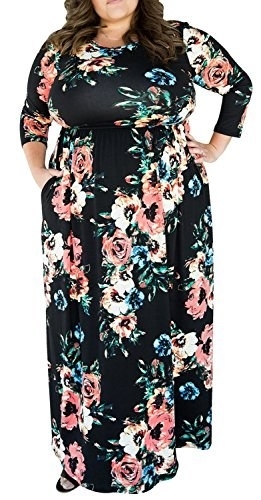 Get it from Amazon for $24.98 (eight color combos and plus sizes 1X–4X). 25. A comfy shift you'll wanna get in all three colors and rotate out all season long. Get it from Gap for $25 (three color combos, and regular, petite, and tall sizes S–XL). 26. A flouncy shorty that's customized to hit you at the exact right length based on your height. Tall babes deserve short dresses, too! Get it from Fame and Partners for $199 (sizes 0–22 with customized length for heights 4'10"–6'4"). FYI, all of Fame and Partner's dresses are customizable for length, details, fabric, and color! 27. A pencil dress that'll pass for something soooo much more expensive. Get it from Asos for $79 (tall sizes 2–12). 28. 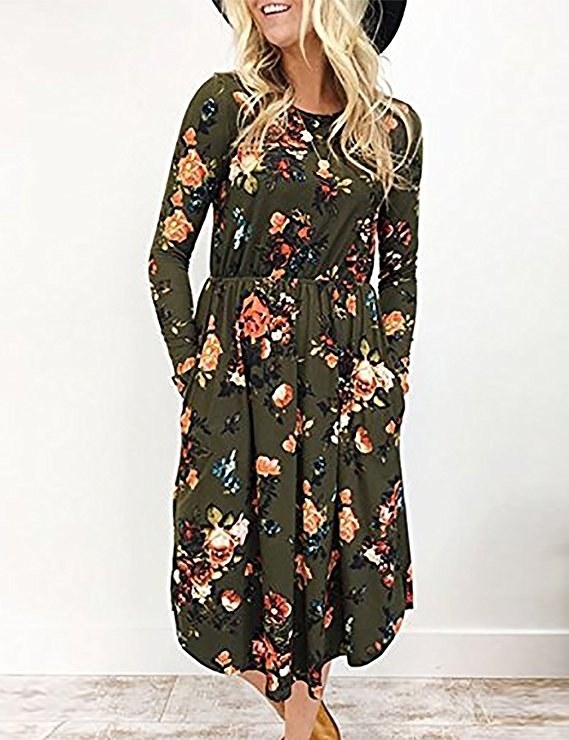 A floral maxi with enough length to keep it from magically transforming into a midi as soon as you pull it over your head. Get it from Abercrombie & Fitch for $39 (three color combos, and sizes regular, petite, and tall sizes 2XS–XL). 29. A office-approp number you can throw a blazer over for big meetings. Get it from Banana Republic for $104 (regular and tall sizes 0–20). 30. A fluttery beaut so you can give the cold shoulder. But just one! Get it from Boohoo for $29 (tall sizes 4–12). 31. A colorblock maxi for an actual ankle-grazing frock. Get it from Long Tall Sally for $119 (tall sizes 6–18). 32. A striped sheath — it would totally get Sporty Spice's air kick of approval. Get it from Missguided for $14 (tall sizes 2–10). Get it from Fame and Partners for $179 (sizes 0–22 with customized length for heights 4'10"–6'4"). ICYMI, all of Fame and Partner's dresses are customizable for length, details, fabric, and color! 34. A well-suited choice Hilary Banks would definitely wear. Get it from Asos for $67 (tall sizes 0–16). 35. A gorgeous babydoll you'll wear over and over again without hearing "Are you sure that isn't a shirt?" over and over again. Get it from Abercrombie & Fitch for $29 (three color combos, and sizes regular, petite, and tall sizes 2XS–XL). 36. An ~official~ Barbie two-fer fit for all kinds of casual shindigs. Get it from Missguided for $51 (tall sizes 2–10). 37. A glam botanical in a generous length in regular sizes so you won't be pulling down the hem all day. Get it from Nordstrom for $178 (regular sizes 6–20). And you'll probably be *quite* interested in our list of women's clothing brands for tall babes.